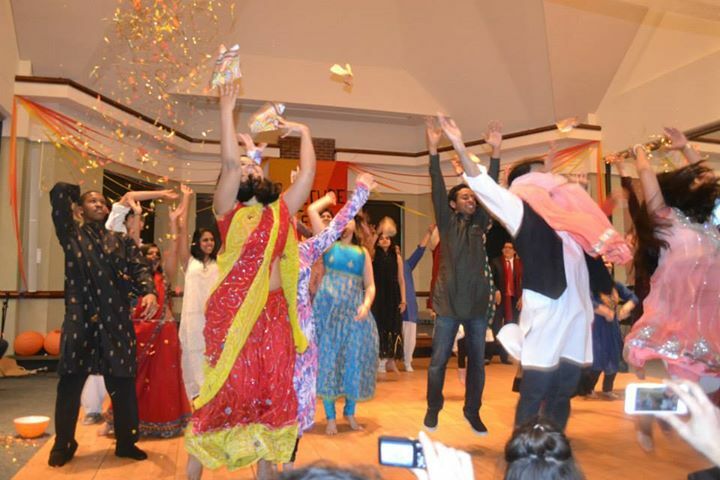 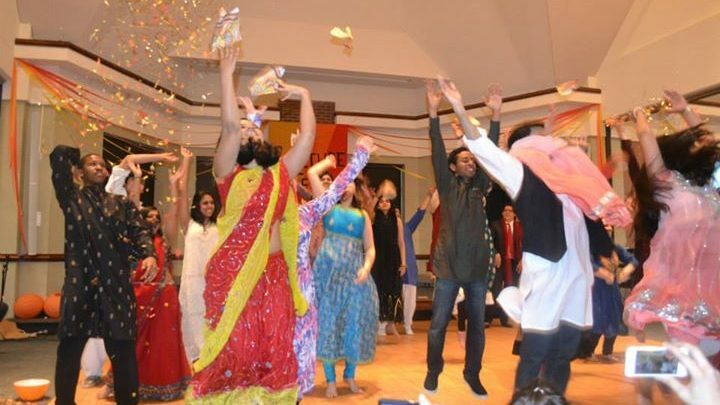 The finale of a Bollywood dance number by the members of Horizons International. 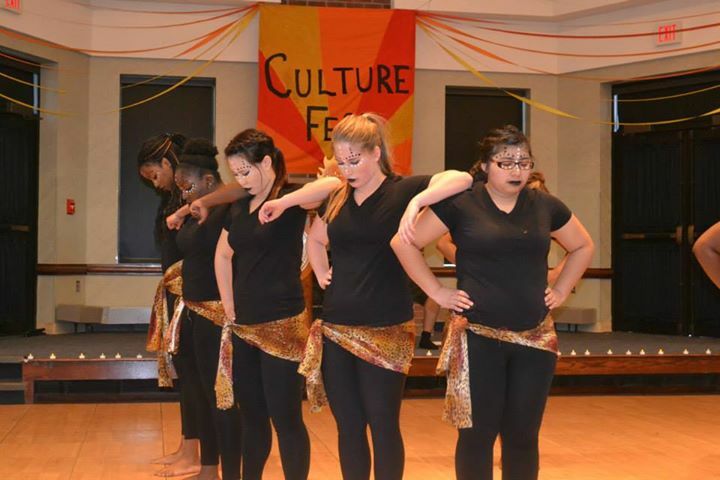 Rafiki Wa Africa members prepare for their dance routine during CultureFest event on March 29. 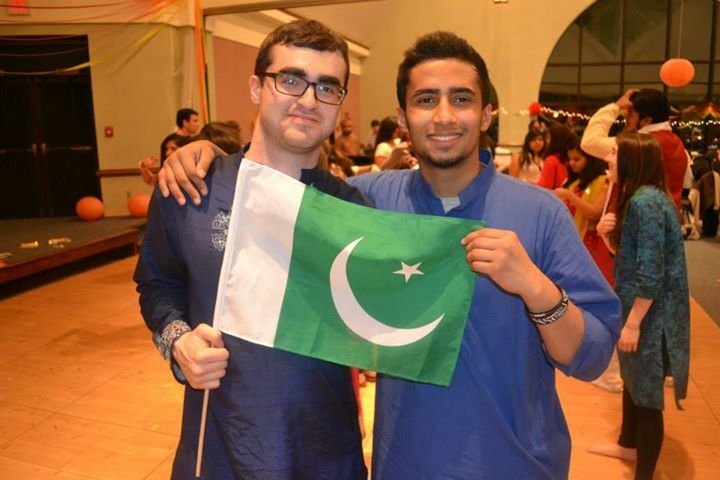 Senior John Bieniek (left) and freshman Sarim Rahim (right) displaying the Pakistani flag.